Cassandra Proctor of Trumansburg, NY, has been named the 2016 Empire State Potato Growers Association Scholarship winner and will receive a $500 scholarship per academic year for up to four consecutive years of agricultural education at a college in New York State. Cassandra will graduate from Charles O. Dickerson High School in Trumansburg in June. She plans to begin her pursuit of a degree in plant sciences at Cornell University in the fall. Her career goal is to earn a PhD in plant genetics and to research ways to improve plant yield and suitability for impoverished areas. As a high school senior, she served as an FFA Co-Treasurer, and participated in the Tompkins-Seneca-Tioga New Visions in Life Sciences Program that allowed her to intern in the Boyce Thompson Institute plant genetics research lab at Cornell University. Cassandra was selected to attend the Global Youth Institute hosted by the World Food Prize Foundation in Iowa in 2015. 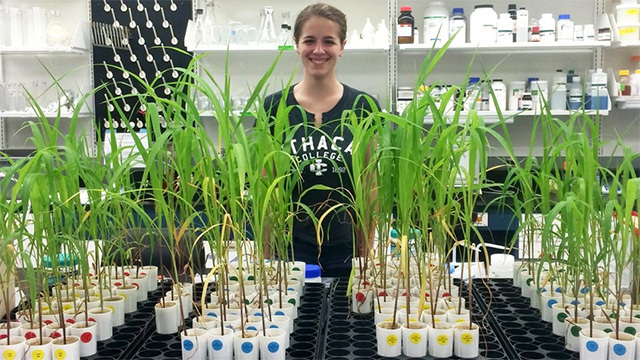 This summer Cassie will travel to the Phillipines on an eight-week Borlaug Ruan International Internship at the International Rice Research Institute. 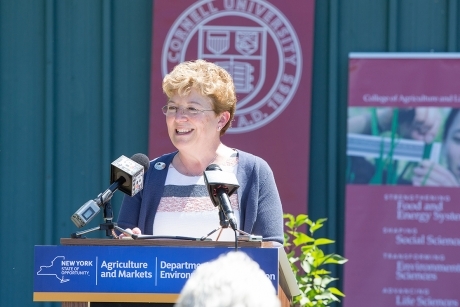 State officials and Kathryn Boor, the Ronald P. Lynch Dean of Cornell’s College of the Agriculture and Life Sciences, announced recommendations of the New York State Pollinator Task Force at Cornell’s Dyce Lab for Honey Bee Studies in Varna, New York, June 24. The 2016-17 state budget includes $500,000 to help implement practices and conduct research outlined in a New York State Pollinator Protection Plan developed by the task force and its advisers. At the same time, according to research, managed honeybees and native pollinators are in serious decline. A team led by Cornell researchers has received a five-year, $2.2 million National Institutes of Health grant to develop an approach to better understand how pathogens that infect bees and other pollinators are spread. In New York state alone, 13 percent of bee species are experiencing declining ranges and populations. Nationwide, beekeepers are losing close to half of their honeybee colonies every year, in part due to disease. Scientists have identified key viral, bacterial and fungal pathogens that cause bee diseases and lead to declining populations. 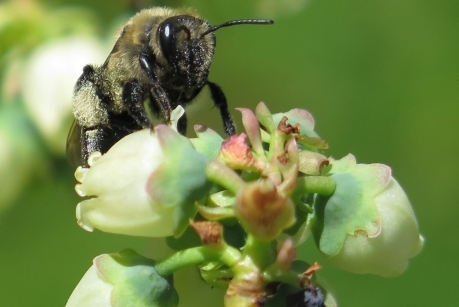 This decline is a major concern as pollinators – especially wild and managed bees – are critical to native ecosystems and agricultural crops, providing the equivalent of billions of dollars in pollination annually. Cornell Fruit Field Day, July 20, Geneva, N.Y. 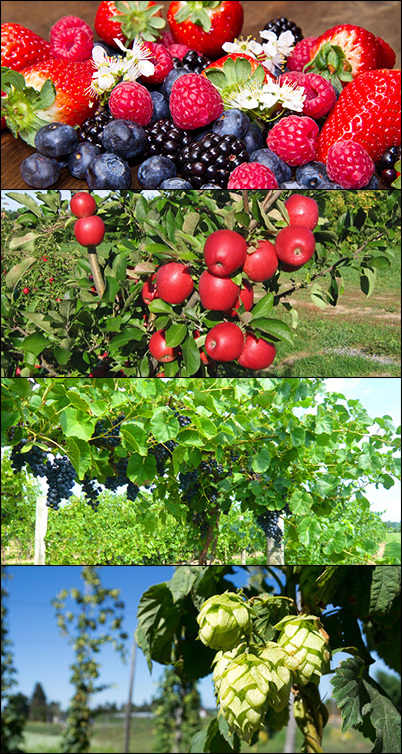 The event will take place at the NYSAES Fruit and Vegetable Research Farm South, 1097 County Road No. 4, 1 mile west of Pre-emption Rd. in Geneva, NY. Arrive at 8:00 AM to get settled in. Tours begin promptly at 8:30 AM and are scheduled in the morning from 8:30 to 11:30 and in the afternoon from 1:30 to 5:00. Lunch will be served at the exhibit tent area between 11:30-12:30. To participate as a sponsor, see the registration website or contact Shelly Cowles (315-787-2274; mw69@cornell.edu). CALS Notes article by Gwen Aviles ’17, a student writer for the College of Agriculture and Life Sciences. Marvin Pritts wants to know just what happens when the straw is taken out of strawberry growing. 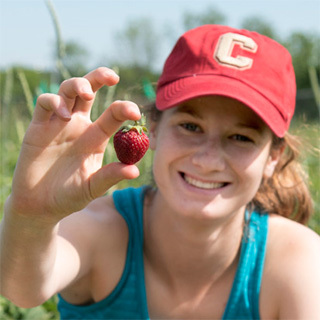 Pritts, professor in the Horticulture Section of the School of Integrative Plant Science, and his team of summer interns are exploring how inputs into the soil affect the quality of the strawberries produced. Adding straw to the field seems like it should be beneficial to growth: after all, straw provides the soil with the organic matter plants need to thrive. The practice has long been utilized in strawberry growing operations: “Growers use the straw as protection for the berries and put the straw between the rows of plants so they can be easily harvested,” Pritts explained. But he wanted to know just how this practice impacts strawberry growth. Last season Pritts and graduate student Maria Gannett, M.S. ’16 incorporated varying levels of straw, grass clippings, and wood chips — all differing in carbon/nitrogen ratios — into different plots of soil to test how plants reacted as the amendments decomposed. The only plots that showed negative growth were the ones with straw in their soil. With deep sorrow I would like to let you know that Dr. Larry D. Robertson passed away the morning of June 21, 2016 at Matthew House hospice in Auburn, NY. Larry was 64 years old. He served as Geneticist/Vegetable Curator at USDA-ARS, Plant Genetic Resources Unit from 1998 to present, and was also Adjunct Professor, Horticulture Section, School of Integrative Plant Science, Cornell University. He closely collaborated with many researchers from Cornell University and other institutions in training and demonstrations of vegetable seed production to small-scale farmers through multi-institutional projects funded by Organic Research and Extension Initiative (OREI)-Northern Organic Vegetable Improvement Collaborative, OREI-Organic Seed Partnership, and the Initiative for Future Agricultural and Food Systems (IFAFS)-Public Seed Initiative. He received his Ph.D. in 1980 from Iowa State University and spent his early career from 1980 to 1998 working overseas as a post-doc at the International Crops Research Institute for the Semi-Arid Tropics (ICRISAT) in Hyderabad, India and then as a germplasm curator/faba bean breeder at the International Center for Agricultural Research in the Dry Areas (ICARDA) in Aleppo, Syria. Larry had been undergoing cancer treatment for many years and showed us every day how to remain hopeful and strive for the benefit of others no matter how challenging the circumstances were. He is survived by his wife Velvet and three sons Zebedee, Shane and Keegan, one brother, one sister and both of his parents. A funeral service will be held at St. Patrick’s Catholic Church, Seneca Falls on Friday June 24 at 2 p.m. Additional details will follow. Please keep Larry and his family in your thoughts and prayers. 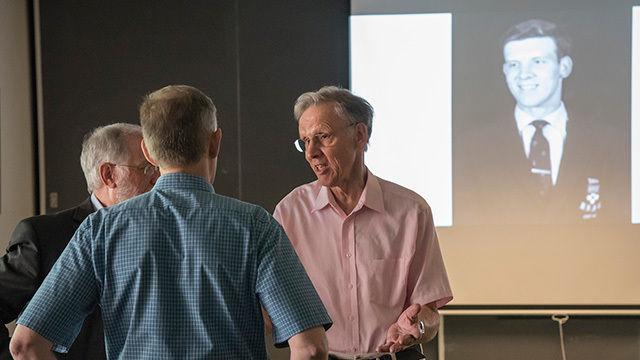 If you missed Friday’s minisymposium in honor of Peter Davies’ 46 years of research and teaching in the Plant Sciences at Cornell highlighting the changes that have taken place in plant hormone biology over the last 40 years and how Davies contributed to progress in the field, it’s available online. Read more about the symposium in CALS Notes. 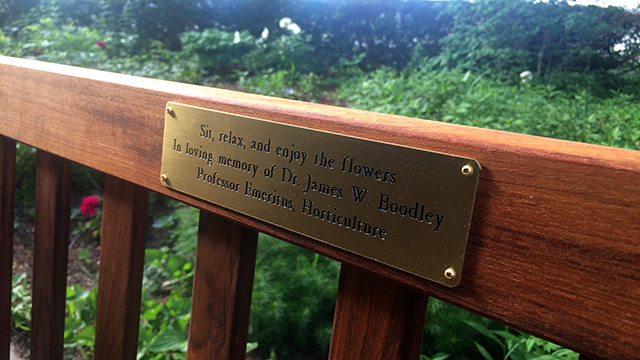 Join us for a celebration of the life and career Dr. James W. Boodley, Professor Emeritus, Horticulture. There will be brief memorial and bench dedication with light refreshments served afterwards. 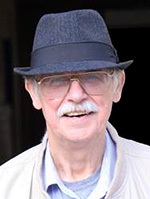 Jim died February 12 in Kent, Ohio. See Cornell Chronicle: James Boodley, co-inventor of Cornell potting mix, dies at 88. Four interdisciplinary projects involving SIPS researchers are included among the 2016 Academic Venture Fund Awards from the Atkinson Center for a Sustainable Future. Farming systems that use ecological principles—rather than expensive chemicals—are helping African farmers raise more food sustainably. One method protects maize from destructive moths with two partner crops: a legume that repels the hungry moths and a grass that attracts them for a tasty meal. 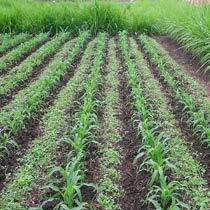 This “push-pull” approach improves soil fertility and can triple yields, but some farms have seen much smaller gains. This team will find out why. Their answers about how surrounding landscapes and soil affect results will help more smallholder farmers benefit from sustainable practices that are helping their neighbors. 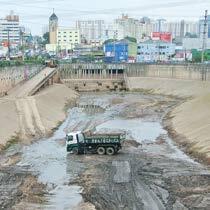 Flooding in urban areas is a growing problem, as the world’s cities expand and storms become more intense and variable. Piscinões (big pools) are São Paulo’s primary strategy for reducing flooding. While often effective for flood control, these single-purpose basins also divide neighborhoods, concentrate pollutants, and require costly maintenance. With officials and experts in São Paulo, this team will create landscape-based design guidelines for piscinões that can work at large and small scales to enhance human communities and urban ecosystems. These multifunctional pools offer a new model for urban living with water. Some plant pathogens spread through the air—and the effects on staple food crops can be devastating. Climate change could mean more frequent plant epidemics, as extreme weather may move pathogens more easily across continents. 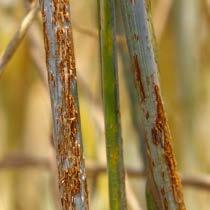 This project brings together experts in atmospheric science, plant pathology, and computational sustainability to model how climate change, weather events, and changing agricultural landscapes will influence the future long-distance transport of fungi affecting global food security, such as wheat stem rust fungus. The team will coordinate with Cornell’s Durable Rust Resistance in Wheat program and international disease management programs to safeguard the world’s wheat. 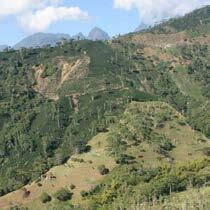 Some biodiversity hotspots in Latin America have lost more than half of their forests to agricultural development. Several nations are considering market-based conservation solutions to forest restoration. Programs that reward environ-mentally sustainable practices—growing coffee and other crops beneath trees, for example—can support struggling rural communities, restore degraded land, slow forest loss, and help countries meet international carbon commitments. Working with Rainforest Alliance and industry partners in Nicaragua, the researchers will develop a portfolio of practical incentive programs to help Nicaragua meet its international pledge to restore 2.8 million hectares of degraded lands. If you missed Friday’s Liberty Hyde Bailey Lecture, Genomics and the Future of Agriculture, it’s available online. The lecture and panel discussion, in honor of professor emeritus Steve Tanksley, winner of the 2016 Japan Prize, featured three former lab members — Greg Martin, Jim Giovannoni, and Susan McCouch — introduced and moderated by Kathryn J. Boor, Ronald P. Lynch Dean of the College of Agriculture and Life Sciences. They celebrated Tanksley’s contributions to plant breeding and genetics and the spirit of genomic discovery in the School of Integrative Plant Science with a panel discussion on genomics and the future of agriculture. 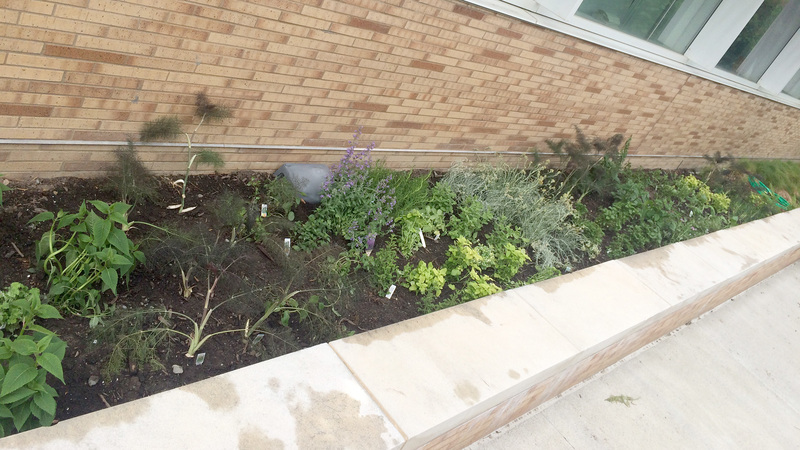 A collaboration between Food Science lecturer Kathleen Arnink and Urban Horticulture Institute director Nina Bassuk came to fruition this week when Bassuk and her staff planted a new Wine Scent Garden along the south side of Stocking Hall. “The garden will be used by Viticulture and Enology students to train themselves to identify odors that are perceived in wines,” says Arnink, who teaches courses such as Introduction to Wines and Vines and Principles and Practices of Growing Grapes and Making Wines. Bassuk’s planting list included several mints (Mentha spp.) and scented geraniums (Pelargonium spp. 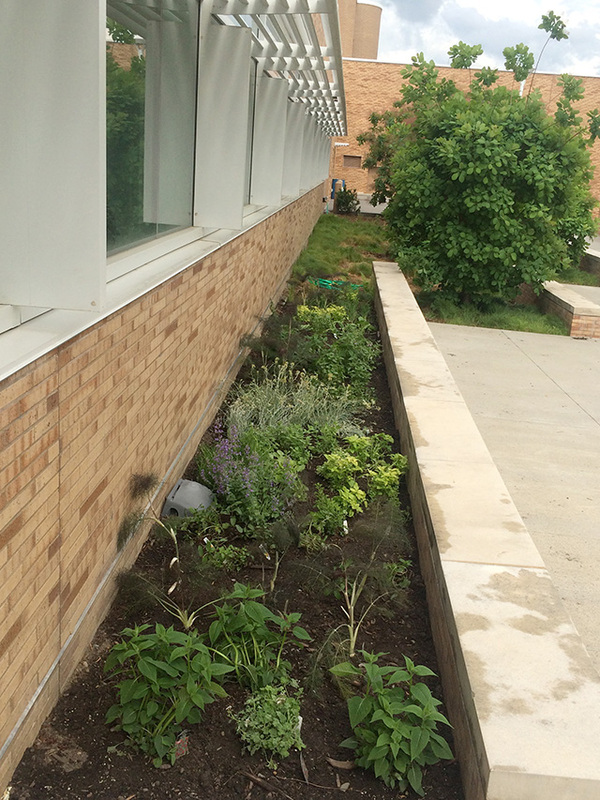 ), bronze fennel (Foeniculum vulgare), curry plant (Helichrysum italicum), bee balm (Monarda spp.) and more.